Highly qualified with a passion for connected IoT solutions and experience from various industries. The heart of our company is our people. Telenor Connexion consists of more than 150 devoted and motivated individuals who continue to move the company forward with innovative new ideas and new solutions that benefit our customers. The Telenor Connexion management team is a highly qualified group with a passion for connected IoT solutions and experience from a variety of industries. Mats Lundquist has worked in the IT and telecom industry for more than 15 years. Prior to taking on the position as CEO at Telenor Connexion in September 2015, he served as Head of Telenor Sweden’s Broadband & TV division. Mats joined Telenor in 2007. Prior to this he held positions as CEO at TDC Song, Song Networks and Vattenfall’s telecom business. He started his career at McKinsey working as a strategy consultant for 8 years. Mats holds a Master of Science from Stockholm School of Economics. Karin Bjernbäck D’Hondt has 10 years of experience in Finance and Business development within the Telecom industry. Previous experiences include management positions in companies such as Sting Networks (now part of Bahnhof). Karin joined Telenor Connexion in 2009. Prior to taking on the position as CFO she held the position Head of Business Control. She holds Master degrees in Business Administration and Economics as well as in Computer and System Sciences. As Chief Sales Officer, Dean Woods leads Telenor Connexion’s global sales team and is responsible for sourcing new business opportunities and developing the already established global customer portfolio. Woods has over 23 years of experience in the Telecommunications and Machine-to-Machine/Internet of Things industry. He has been employed by Telenor Connexion since 2009 and has held the positions of Head of Market Expansion, Head of Region UK and Ireland, US and APAC and Head of Sales IoT Solutions. Prior to joining Telenor Connexion Woods held the position as Service Business Director at Huawei Technologies. As Chief Legal Officer Luciana Widengren is responsible for legal services to the global organization engaging in negotiations and closing major agreements and partnerships. She also advises on legal and compliance issues consistent with international laws, regulations, and Telenor policies. Luciana is engaged both in the GSMA global and the European working groups on policy and regulation for IoT. Her dedicated work within these working groups has helped form and drive GSMA’s global position on policy and regulation for IoT. 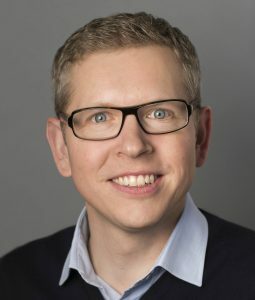 Cristoff Martin is the Chief Marketing Officer at Telenor Connexion where he is responsible for marketing, business management and strategy. Cristoff has more than 15 years’ experience in technical and international business from working in high tech and telecom industries including research, strategy, sales and product management. Prior to joining Telenor in 2017, Cristoff spent 5 years with Ericsson where he held several roles including heading Portfolio Management for the Cloud & IP, as well as the Networks business units. Other experience includes 6 years of strategy consulting for McKinsey & Co and technical research on connecting cars for satellite operator SES GLOBAL. Cristoff has a PhD in electrical engineering from KTH in Stockholm, Sweden. As Chief Technology Officer, Martin Whitlock leads Telenor Connexion’s global technology team, driving major technology-enabled initiatives as part of the company’s expanding business strategy. Martin has extensive experience from the telecom industry. Prior to taking on this role, he held the position as Director at Northstream, where he was responsible for strategy assessments, sourcing projects and change management engagements with a broad range of clients. Martin holds a Master of Science degree in Industrial Engineering and Management with major in Radio Communications Systems at the Royal Institute of Technology, Stockholm. 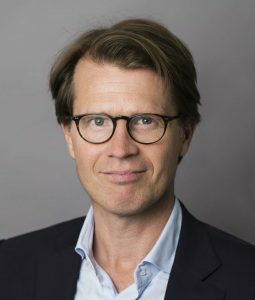 Before joining Telenor Connexion in 2014 Robert Bellwaldius held the same position at Maingate. 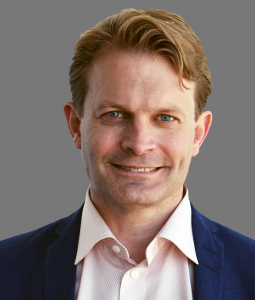 Robert has extensive experience from the telecommunication industry, including 15 years at Europolitan, followed by Vodafone Sweden and now Telenor, he held positions as Head of Product Marketing, Head of IT and Head of Product and System Development. Robert also has a background from the Swedish Defense Industry. He holds a Master of Science in Engineering, Computer Science and Engineering from Linköping University. As Chief Human Resources Officer Karin Stenklef oversees all aspects of human resource management, policies and practices for our company. Karin Stenklef has 15 years of experience within the HR field from several different industries such as telematics, medtech, shipping and retail. Prior to joining Telenor Connexion, Karin worked for Johnson & Johnson Group. Karin holds a Bachelor’s degree in Human Resources Management/Personnel Administration from the University of Gothenburg.